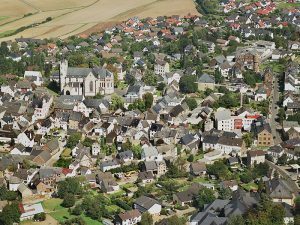 Over a decade ago, I remember driving through a small German village thinking, ‘I wonder what it is like to live here.’ Maybe it was the unique name, or the visual impression of the green grass and timbered houses, but somehow it stayed in my memory. I’m not sure how many people there were Christians or even what type of churches they had, but I’ve since prayed for the people there. Have you ever randomly prayed for someone you didn’t know? Maybe it was a chance encounter with someone who impressed you, or you just felt led to lift them up before God. I sometimes do this to vehicles that go by, or even for a plane up high in the sky. Does a prayer for strangers even work? God only knows. Is it better for someone to say they will pray for you, then they don’t (but you maybe feel better), or for them not to tell you anything then pray for you, or to say they will and then pray? Probably the latter two, because the first is just meant to make you look/sound better before men and not so before God. Or maybe the impression that someone is praying for you actually helps too? God only knows. I think the important thing is to act, either in prayer, or words, or actions, when God leads you to do so. The result may not be what you were hoping or expecting, but it is likely one of obedience. Maybe it is just a good policy to act in love toward others, whether or not you know if or why you are doing it. This past Saturday, during a quiet/prayer time during a retreat, one thing I was led to do was to pray for a young couple, who are not practicing Christians, but who are trying to have a baby and have had difficulty in doing this. It was interesting when I got a message from them the next day asking to visit with me, when I had not talked to them directly for over a couple months. I’m not sure how you are supposed to tell someone you are praying for them, but I did share that, and tried to convey my love and care about them, as a starting point. I’m not sure if this will make a difference in their faith or their lives, but I just felt it was my responsibility to do what I felt what God was asking of me. Have you ever wondered what, if anything, resulted from you just trying to do ‘the right thing’ in any given situation? Maybe you will know some day. In my experience, whenever you pray for someone, whether that is an immediate family member, a stranger, or even someone that you have no good feeling for, or have even hated, it brings about better things in you. You almost have to forgive others before you pray for their well-being. And often the result of praying for others not only brings about feelings of concern for them, but often causes you to act in love. Especially toward those in our immediate family, who often easily offend us, or who we can take for granted. It puts their concerns before God and before your concerns. Prayer isn’t really meant to change God’s mind about something we want, but to conform our hearts and minds toward what He wants. And more often than not, it is to act in love and forgiveness toward others. What are some ways you can do that today? I know I have a long way to go before I really get there. I have struggled lately when reminding a 3 year old about the things he should and should not do, and then watching him do exactly what I just warned him about 10 seconds earlier. He gets it for a short while afterward, when he discovers the consequence of his actions, e.g. ‘sit in your chair so you don’t get hurt’, and after he falls, he cries and looks for sympathy. I get it too, a 3 year old is still learning to control his body, remember what you tell him, and testing boundaries, so hopefully will show some improvement over time. But should a 30 year old man know better when he does the same things? After suffering the same negative consequence multiple times, how long does it take to behave better and ‘act your age’? What things have you been repeatedly tempted by, with some successes and failures on your scorecard? What has worked? Just this past week, a kitchen cupboard door was broken and I warned my wife to be careful if she opened it. Then without thinking, one morning I yanked it open and ended up with a gouge on my lower eyelid, not far from losing an eye. 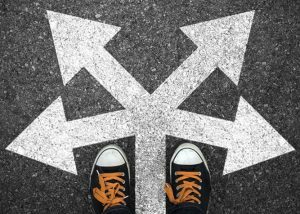 Good and bad habits start at a young age, and we can change, but old habits die hard when you depend on your own self will and environment to facilitate those changes. Each day we can be tempted to make poor choices with what we eat, what we watch, what we say, how we react, or with just about anything we do. What do you struggle with the most and what have you done to try to change your behavior and how you react? Has it worked? Who would want to, but if we made a list of all the bad choices we have made in our lives, and the consequences of those actions, could we look at our lives now and say we have learned a thing or two and don’t make the same mistakes we once did? When we boil it down, most poor choices are made out of selfish motives. We put ourselves and our needs ahead of whoever is in front of us, or suffers the consequences with us, whether a spouse, a child, or the stranger that happened to encounter us at that moment. Whether it is the result of greed, lust, impatience, or hate, the results can be equally devastating. How often do we turn to God in those moments and ask for forgiveness, and for help not to do the same again? What does it take to turn to put down our pride and turn to others for help when we have made the same mistake for the 70th time? Let us give others the same amount of grace that our Lord offers to us, but forgives when we turn back to Him. Let Him empower you with the Spirit that brings life and not the spirit of selfishness that brings you back down the same worn paths of failure. 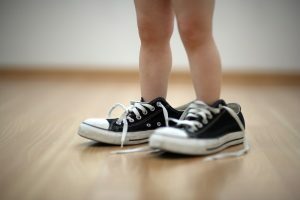 You have likely heard the phrase, ‘Don’t judge someone until you have walked a mile in their shoes.’ Well, if we all did a little more walking and a lot less talking, maybe we would be better off. It is easy for us to criticize, judge, and condemn people because they made a mistake, or didn’t do something the way you do, are of a different political party, or look different from you. Just ask any armchair quarterback how the refs screwed up or what play the coach should have made. We can all be geniuses with hindsight. Sometimes constructive criticism can be helpful if it makes someone aware of the damage they are doing to themselves or others, but that may be the only case, and it doesn’t often work. How do you feel when someone speaks negatively about you, your job, your family, your faith, or anything about you? Not good. So, for the past 13 days, I’ve been playing solo parent with 3 kids still in diapers. With schools canceling more than not the past 10 days, I’ve been cooped up at home from 6 am till 10-11 pm without much more than a 5 minute break through the day. I once had 2 kids napping during the same 30 minute period, which was nice. I’ve had all the kids days at a time before, but not for this long, as my wife is doing a 2 week tour. Anyway, I can better appreciate what a single parent has to deal with on an every day basis and without support of friends or family, am not sure how some do it. I heard a story this past week about a single parent who worked a minimum wage job, and without supports like WIC, EBT, and Medicaid, would not be able to afford much of what is needed on a day-to-day basis for very long. I know it is easy to criticize some on the taxpayer’s welfare dollar, but honestly, I can understand why someone would choose to do it, if an option. I still don’t fully understand how my parents managed with 6 kids. Maybe we helped out – no, not really, but there were probably stretches where we kept out of trouble. What can I do now to help out a family that is struggling? Whenever I can, I tell teenagers to do a variety of jobs while they are young. It may help them find a career they will like, or if not, and you don’t like a job, you can better appreciate those who are doing it on a daily basis. If a kid in school who didn’t respect his/her teachers had to get up and teach something for 30 minutes, they might have more respect. So, we may never fully understand what the people we meet each day have to deal with, we can give them the benefit of the doubt. We can do or say something to make their day a little more pleasant, instead of criticizing or complaining about them. I need daily reminders to do this, but when I do, it makes my day a little more enjoyable too. A simple ‘thank you’ or letting someone go ahead of me helps take me off the #1 pedestal in my heart. When we place God and others before us in the priority line, it lets humility work a little better in our lives. I don’t’ know about you, but I need that on a daily basis. I will even appreciate my job a lot more when I get back into a ‘normal’ routine too. I have to go, a baby is crying. Have you ever had your heart broken by someone? Maybe in middle school and the person you had a crush on gave you the cold shoulder, or as an adult, maybe a relationship you hoped would work out didn’t? Have you ever been the one to put an end to a relationship or love interest? No matter which side you have been on, losing the hope of love, infatuation, or the object of your affection is difficult, because we all want to love and be loved, even if we won’t admit it publicly. Maybe that’s why it is the subject of so many books, movies, and topics of discussion in every culture. We were made to love! Who is your first love? In your life right now, who would you drop anything for to go help if they were in need. For me, it is probably an 8 month old little girl, who fell asleep in my arms a few times today. Oh, I still love my wife and the rest of my family as much as ever, but just thinking about this little sweetie brings me joy, and makes me act a little goofy sometimes. She is not always sweet (though almost) as when playing, she will occasionally try to bite me with four new teeth, and pinch me with her super strong little fingers, but I still love her. Your first love may not even be a person, it may be an activity, or thing that takes front seat in regard to your thoughts, time, money, and passion right now. Is it, or has it ever been Jesus? You would know if it was. Since I’ve been married, I find that I seem to have less and less time, energy and passion to love the things and people I once did. Maybe the enthusiasm, or frequency of it, has dissipated, but my willingness to do things, in love for others has probably grown. We show people we love them by what we say to them and do for them. The questions I tend to ask is, how well am I doing this for my family, and for strangers, and for God? There is usually a close correlation between how we love others and true selflessness. If we say we love our family and hate others, our love is probably very conditional or more of a feeling, and may wax and wane a lot. 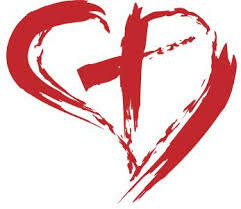 Genuine love forgives and perseveres through adversity. How often do you hear about people falling out of love? What does that mean, when you don’t love someone anymore? Especially in reference to a married couple. If you are married, do you love your spouse as much today as you did the day you were married? You may not have the exact same feelings toward them, but you may love them better, or worse, as you did earlier in your marriage. If you don’t like or love them as you once did, is it possible to return to that state, and be ‘in love’ again? God calls us to this in regard to our commitment to Christ. Are we willing to give up everything else in our lives for Him? If it can happen between people, it can surely happen between a forgiving God, and us. So, if you have forsaken the love you once had for Christ, ask him back to that place. Not just to be a co-pilot, but to be the pilot and Lord of your life! It has been nearly 2 months since many stopped to give thanks for things during Thanksgiving. Have we stopped to give thanks since? The question I ask is, ‘have I stopped appreciating what I have and thanking those who have given it to me?’ During an average day, how often to you simply tell someone else, ‘thank you’? If you ever stand in line at the store, you see a variety of reactions from gratitude, to impatience, to entitlement. Just ask someone who has ever worked in retail about some of their worst customers. That’s not a good way to be remembered. Who do you thank each day as you go through life? Your employer, your children, your spouse? Do you do this with your voice, by written word, or with other actions like a thank you gift? Maybe you do it so often that you really don’t mean it sometimes. Is it ok to say thanks to someone, even when they don’t deserve it? Do you like to be appreciated by others in your life? More often than not, we give thought to what we want or do not have than what we already have in front of us. How much of your day and thought life is filled with, ‘what do I have to do or get done next’? Its not bad in that it propels us forward to get things done, but seldom allows us to stop and appreciate what we have or what is going well. Instead, we may blow a gasket when something happens to derail our plans and things don’t go as we think they should. Whether that is a family member, co-worker, or stranger that fails us and causes us to change our plans, it may also cause us to lose sight of the things that are really important in our lives. How often do you give thanks for the people who are important to you in your life? How often do you give thanks to God? I questioned how many times I audibly say, ‘Thank You, Jesus!’ and if I would do it more often, would that help me appreciate him more? We regularly stop to give thanks for food and other things relevant to our day when we sit down to eat as a family. It’s a good chance for me to stop and look at what is going on today and find things to appreciate, even if the day hasn’t gone particularly well or as planned, which to some degree is most every day. 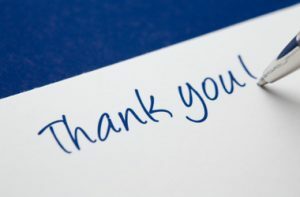 Aside from grace before meals and worship in church, how often do we stop to say thank you? Maybe in prayer time, starting by being grateful for the relationship we have with God, and for His gift of salvation can put us in a state of humility and willingness to hear from Him. The more we look, maybe the more we can find things to be thankful for and time to do it. An even bigger question beyond ‘are you thankful’, is what do you do in response? Does being thankful cause you to do something? Maybe there have been people in your life that you really appreciate now, but never got to tell thank you. Maybe it was a teacher, coach, mentor when you were younger, who helped you in ways that you never appreciated at the time. Is it ok to tell them thanks now, after many years have passed? Many of us focus on the negative aspects of our parents and never really appreciate what they have done for us. Maybe it compels you to do better and go the extra mile for others in your life. Often, when I realize the enormity of how much God has forgiven me, and how he generously loves me and others in this world who don’t deserve it, it causes me to feel and act in a similar manner toward others. To have compassion, patience, love, and even kind words for those who don’t deserve it that I may encounter each day. What will you do today to demonstrate to someone the love and gratitude in your life?